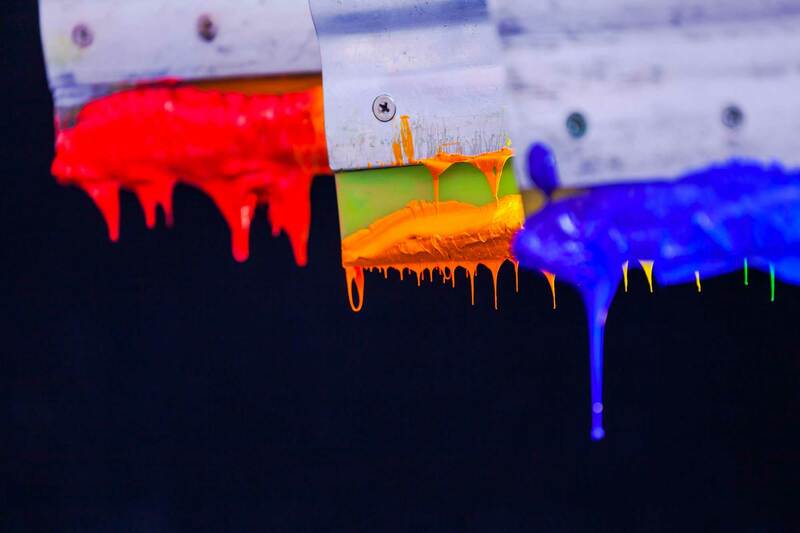 A leader in the wholesale contract screen printing industry, Leonard Sloan & Associates has been in business in Dallas Texas for over forty years. It has always been our goal to bring clients new and innovative ways of promoting their image on branded clothing and sales promotion materials. We are on the cutting edge of technology in the screen printing industry, and, are always showing clients innovative ways to achieve the best results with screenprinting and contract embroidery. Our Creative Services include: Graphics Design, screen printed Corporate Logos, Brochures, Business Cards, Letterhead & Envelopes and Special Event T-Shirt Designs. We offer custom embroidery up to 12 colors. You can supply the tapes or we can produce them for you. 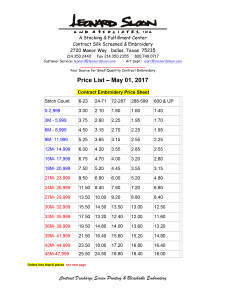 How much does contract embroidery cost? And how do you charge? We charge by the stitch count on embroidery, and by the number of colors on silk screening. We will be happy to provide prices for your specific needs. Can we use the same embroidery tape on different substrates? Only if it is punched with a wire frame or STI format which allows for the change of densities as well as size of the logo.